Triumph Twins first burst onto the scene in 1938, and continued to improve up to their demise in the 1980's. This book covers the restoration of these classic and beloved machines, and is the only one to do so. It includes two start-to-finish assemblies, with sidebars to explain how to correctly lace a wheel. Keith Weighill has many years of experience working with motorcycles, both in the trade and as a former lecturer in motorcycle engineering at Merton College. 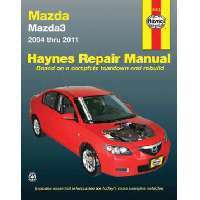 His book provides the DIY mechanic with procedures and useful advice on servicing and minor repairs. The book is divided into six chapters covering: Tools, Service schedule, Engine procedures, Chassis, Electrics and Accessories. Reprinted articles from major magazines Modern Cycle, Cycle World, Motorcyclist and others deal specifically with these popular Honda models. Filled with road and comparison tests, specs, model introductions, and performance data. Coverage highlights: Honda's CB350F, CB400F, F2 and Super Sport. Offering a technical overview and explanation for all the major mechanical and electrical systems for motorcycles, this guide takes the reader through each and every aspect of how motorbikes work from start to finish. It takes the reader through all the systems and functions of a motorcycle. Motorcycle Touring Bible teaches the valuable skills and information you need to survive when traveling aboard a motorcycle--lessons most people learn the hard way. Packed with over 700 photos and detailed information on any problem you might encounter, the book is the first and most valuable tool that anyone customizing a bike should have. Instructs readers on the use of paints and painting equipment. The author covers everything from basic prep work to advanced finishing techniques. Among the topics covered are bodywork preparation, paint selection and preparation, a variety of painting techniques, and post-application follow-up techniques. This in-depth technical study of two-stroke theory and practice is intended to help would-be engine tuners to better understand the engine and the processes taking place within it to obtain improved performance. This guide provides an overview of the collectible models built by Honda, with detailed specifications and an evaluation of each machine. Includes iconic models such as the CB77 Super Hawk, CB92 Benly, Dream, CB750, CB400F, and late model machines such as the CB1100F and VF750F Interceptors. As a reference, this book will be a useful asset for anyone aiming to restore a Speed Twin or a Thunderbird to the correct specification. Used as a guide, it will enable the reader to establish the exact year of manufacture, precise model type and the appropriate colour scheme of any model. An introduction for the novice motorcycle mechanic to the basic mechanical concepts that go into designing, building and maintaining modern motorcycles. The 2-stroke Vespa is a style icon - an undoubted classic, and an immediately recognised symbol of its native Italy. This book guides the DIY enthusiast through all the stages of restoring a classic 2-stroke Vespa, taking it from a rusty unroadworthy wreck back to its factory fresh, former glory. Anyone who has ridden more than three bikes will know that there are differences - sometimes big differences - in the way they react. This book looks at motorcycle tuning and how this affects individual bikes, concentrating on chassis tuning. Billy Lane is a star among the high-profile custom chopper builders, and in this book, he offers many of his secrets for building a chopper that will stand out in a crowd. It also covers custom-building beyond the chopper genre, including the building of 'bobbers,' an old-school style of custom that has been revived as a hot trend. From a corner of the garage set up for routine maintenance to a dream shop housing precious classic machines, this book will help motorcyclists make the most of their available space.